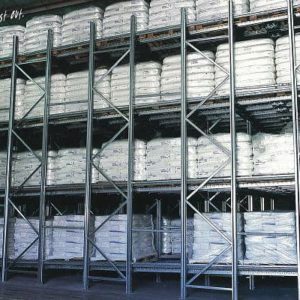 Pallet flow through enables fast throughput and automatic stock rotation for businesses that have large batches of the same SKUs. Pallets are fed and retrieved from opposite sides. 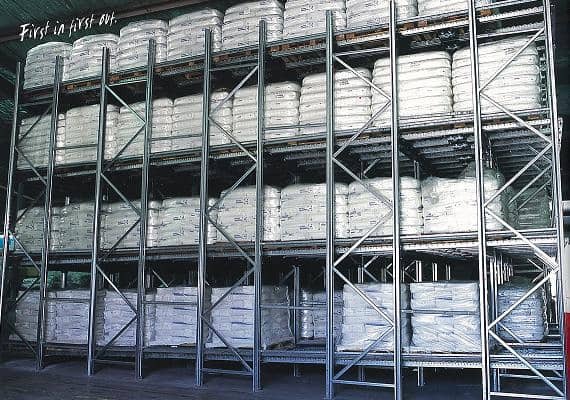 Pallet flow through can be used as buffer storage in staging areas, production, goods reception and dispatch. Pallet accessibility on a First In First Out basis.